Winslow: So um, then I grew up in Rhode Island. I was born in New York City but grew up in the tiny state of Rhode Island in a Mafia bedroom community at first then we moved down to Perryville, on the coast. It was a blue-collar place, my old man would take me down to a fish factory which you could smell, and he’d say, “If you don’t study, you are going to wind up shoveling fish guts in that place.” And I go back there in August and September, but it’s the place that you’re from. And I always knew that my ticket out of the fish factory was writing stories. Salerno: Let’s talk about, in just a couple of sentences, the genesis, the spark, the idea behind some of your books. Let’s start with Neal Carey. What was the spark, the genesis, the inspiration for the Neal Carey series? Winslow: The inspiration behind the Neal Carey series was real easy. I was a graduate student trying to get an advanced degree in history and I couldn’t attend classes because I was working as a P.I. and I was always being sent out on cases, and that’s just like Neal Carey. A lot of the cases I was being sent out on were called in those days were called Golden Retriever work–go fetch, go get em–runaway teenagers, business men who were off on a drunken tear somewhere and it was my job to find them and bring them back. And so when I first started to get serious about writing I was doing a lot of things to make a living: I was a PI, I was a safari guide, I was directing Shakespeare in the summer’s at Oxford, believe it or not, and so I took that old thing “write what you know.” I loved the crime genre, you know I was reading John McDonald and Elmore Leonard and Raymond Chandler and those guys and so I said okay, I’ll write about a graduate student who can’t finish his degree because he was being sent out on cases. Salerno: Death and Life of Bobby Z? Winslow: Who knows where that came from? I was at a point in my career where it had just totally flatlined. I was tired of writing the Neal Carey stories–they weren’t really going anywhere–and I was working as sort of an investigator-consultant for law firms in Los Angeles but living down in Dana Point. I would take the train to work every day. The trip was an hour and twenty minutes long and I’d write a chapter going up and a chapter coming back. And, the conductor, when I heard the conductor go “Ten minutes to Union Station” then no matter what I was doing, I would wrap up the chapter. No matter what was happening in the story I would think of an end for the chapter. And I did the same thing coming home, and a few months later I had a book that was a sort of a breakout for me. But where that story came from and where those characters came from, I don’t know. But what I can tell you is that the relationship between Tim Kearney and the kid in the story was very, very similar to my relationship with my kid and it’s funny you know. I have had people say, well unfortunately say, “Well, a six-year old kid wouldn’t say that” but, yeah, well, mine did. Winslow: California Fire and Life was right from my own life. I’d done a series of 6 or 7 arson cases at the time in California and–well–I don’t think that I have ever talked about this before, was accused of roughing up a witness and fabricating evidence and was put on the beach, you know, I mean, my employers just suspended me and so thank God I had just written Bobby Z and it sold for some money or we would have starved. And I sat down and wrote this book about arson cases so the genesis of that was very much from my own life and it’s kind of a fictionalized version of two cases that I had been working on at the time. One was an arson murder in San Diego, and the other this arson-theft case up in Orange County. Winslow: Ah, you know, Shane, Frankie Machine is an old story for me. I grew up in Rhode Island, as I said earlier, in a mob neighborhood and so I knew those guys, you know? You know I had just finished this long, long book Power of the Dog and I was tired, I was depressed, I wanted to do something different and I wanted to write a story about an old mob guy, and I wanted to write a “sunset” book instead of a “sunrise” book, I wanted to write a book about the end of things; that’s why its centered on the West Coast, and, but, look: the East Coast novel had been done and done great and I wanted to do something very different. I wanted to say the mob exists out in California and I wanted to do something in a distinctly California way, and so I started to research the history of organized crime in San Diego, and I found it fascinating and very connected to politics and all kinds of things, so I used that guy that I knew growing up that was, you know, like an uncle to me and placed him in San Diego and through his eyes tried to tell the story of organized crime in San Diego. But you know over that 30-year period. Salerno: And Power of the Dog? Winslow: Whew. You know Power of the Dog is a book that I never set out to write. I got up one morning and saw in the newspapers that 19 innocent people got killed in a little Mexican town that we used to go to for cheap weekends. And I just kept asking myself, “how could that happen?” And at first I didn’t start to write, I just started reading, I started reading–books about evil and the nature of evil and that kind of thing and I could never kind of read myself to an answer. So I guess when you can’t read yourself to an answer, you write yourself to an answer and then I started doing research on the war on drugs and I learned that the more I learned the more I needed to learn and that just kept going back and back in time and before I knew it I had 35 years of story to tell. I realized though that you couldn’t tell it through one character’s eyes. Yu know, just nobody saw the whole thing. Then it stretched out to five characters and seeing the whole thing through their eyes. Salerno: Boone Daniels, the Boone Daniels series? Winslow: Yeah, you know the Boone Daniels series I grew up surfing, albeit on the East Coast. People don’t believe that there are waves on the East Coast but there are and surfed when I moved out to California–Laguna, Dana Point and those places–and I just wanted to write about that sort of cultural bio. The language fascinated me, the jargon, the humor. Some of the funniest things I’ve ever heard have been out on the water talking to these guys and talking story and stuff like that. And, well, I thought I could find a little break from the heavier kind of stuff and it didn’t turn out that way because when I’d drive from my home down to the beach I’d pass through these strawberry fields, that were, as I found out later, the place of child prostitution. You know, the girls were brought up from Mexico to service the farm workers. And so what I was seeing was this very, very huge contrast between this beauty and all the fun of surfing and all the humor and then this horrible stuff that was happening right next to it. And I just felt that I couldn’t ignore it. You know and made it a part of the story. And then I wrote another Boone Daniels book The Gentlemen’s Hour which will probably come out in the States next year but is out in England now, ’cause I just enjoyed spending time with those characters and in that world, the language of it, so it was fun to write. Salerno: Talk to me about the difference between writing the book, the novel, Savages, versus the screenplay? Winslow: You know, two different experiences in a lot of ways. You know, they are, in fact, and I do understand this despite what some people say. They are two different media: one is flat and static and it doesn’t exist in real time, They pick a book up, they put it down. I do understand that a film is vertical and kinetic. You know, it’s in front of your eyes literally, and it’s moving and those demand two entirely different things. So it’s been a learning process for me, you know, in working with some great people who are teaching me about this. But what I really think about it is that you make changes for film–there are things that would work on film and wouldn’t work in the book; and there are things that will work in the book that wouldn’t work on film. The really important thing to me is that–and I think we are doing it–is that we keep the truth of the book on film. We might change some of the facts, we might change the orders of things, we might change some of the events, but as long as we hold to the truth of the book, the truth of the characters, then it’s been nothing but a delight. Salerno: What was your reaction to Janet Maslin’s review of Savages because it shot all over the world, it’s been picked up by a number of websites all over the world, and it’s really gotten out there as a review. Winslow: Oh, man. That review I’ve been waiting for my whole career, my whole career and I’d heard that it was coming but of course I didn’t know if it was going to be good or bad and then at Heathrow Airport at 10 in the morning my best friend in the world had left me 15 messages on my email to call him about it and then my son called me and he said, “There’s a review in the Times,” and I think he heard the terrified silence in my voice and then he said, “No, no, no it’s all good, she didn’t say a bad thing. It’s a rave.” You know that’s the kind of review that turns a career around. It could just as easily by the way, have gone the other way. She could have taken my career out and shot it in the back of the head execution style, you know, but fortunately it went my way, and it was an absolute rave, and I think she got it, I mean I think she got the sort of radical nature of the book and so that was–well the fact that I’d taken a big risk–and so that meant a lot to me. Salerno: Let’s talk about that real quick, the big risk. The idea that this was not just a risky book in terms of subject matter, in terms of scenes, in terms of characters, but in terms of form. Can you speak to that? Winslow: Oh, sure. You know I heard this book in my head. I saw it in front of my eyes in a certain way, and that was a very radical way. You know, so if I thought that a reader might experience a scene better as a film than as a novel, then I wrote it in screenplay form; if I thought that a scene would read better as poetry than as narrative prose, then I wrote it as poetry. Oddly enough, I mean, some of the most poetic scenes are the most violent scenes because my experience of having been in a couple of wars as an observer, was that you don’t remember it as flowing narrative prose. For good or for ill, you have vivid memories that are jagged and sudden and I tried to capture that in this book. So it is a very, very radical style especially for the crime genre, which has a whole set of rules, but I really felt like throwing elbows to create a little bit more space for myself to create a book the way I heard it, the way I saw it. You know every once in a while, Shane–I gotta tell you the truth–I got scared writing this book, thinking, am I going too far? And then there was a temptation to pull back and then I thought no, if you start running away from it, you’ll write something really bad. And to mix metaphors the only way to do this was to jump into the deep end, you know? It’s a little like surfing. Sometimes you come out of the wave and you are faced with a huge wave, and the tendency is to try to get away from it, and you can’t, you can’t do it. The only way to survive it is to dive into the wave, into its deepest part, and come out the other side. And maybe as overly romantic as that sounds, that is what I tried to do writing this book. Salerno: Let’s talk about Trevanian and Shibumi and your prequel Satori. This is your first time as like a “gun for hire,” for lack of better expression. Why this book, why Trevanian? Winslow: Yeah, well, in the first place part of it was circumstance. My agent, Richard Pine also represents Trevanian’s estate, and so the opportunity was there. The reason I took the opportunity though was quite different. I had read the book as a kid and loved the book, loved that character, Nicholai Hel and I remember the character played this Japanese game called “Go.” It launched this sort of “Go” craze amongst a bunch of us, and I was terrible at it but we played it for a few months. But I remembered the book vividly and so the temptation to write that character and to pick that up was fascinating, a unique character was fascinating. Also I spent part of my career in Asia. I have high regard for Asian cultures, and so the chance to mentally spend a year researching and working with the Asia of 1951 or 1952 was very tempting to me. At the same time I didn’t want to do an imitation. Do you know what I mean? I didn’t want to do like some bad nightclub comic and say, “I am going to try to mimic this guy’s unique style and voice,” and so as a matter of negotiating that, saying can I use some of my own style, my own voice and try to blend it? And, you know, again, it was a terrific experience. Salerno: Is that something that you are open to continuing? Is that something that if the opportunity presents itself and if the book is successful, you might consider continuing the way John Gardner did with James Bond? Winslow: Yeah, I am open to it. I want to see how the book is received. I think creatively the book is a success. People seem to like it. I’m proud of it, by the way. And sure, I’m open to it, but I’m not promising anything and I don’t want them to feel locked down to me, you know. The publishers might want to say, “OK, let’s throw this out to 5 or 6 guys, let them take turns at that.” And that could be a fun thing too, but I am definitely open to it. I know what the next story should be, and where to pick it up, and have the story and the plot and everything. Salerno: On Savages, you’ve been meeting with Oliver Stone. Tell me about that experience. What surprised you about working with him, what have you learned, what’s that been — the Oliver Stone experience? Winslow: There have been a number of surprising things. First of all he asked me to co-write the screenplay. That’s surprising. I’m surprised at his sense of humor, I’m surprised at that, although I don’t know why. I’m surprised that he has let us write it, without meetings. Basically he said “Go forth and write,” and that’s been surprising as well. So, so far it’s been a really good experience. Salerno: And, you know, in your mind, when you have looked at your Hollywood experience over the past decade, sum that up. You know have there been ups, downs? What has been your Hollywood experience? Winslow: You know, my Hollywood experience has been, let me put it charitably, uneven. And for the most part, down, and, for a couple of reasons, I lay it on myself. I think that I hadn’t paid enough attention. Well, that is not quite accurate, I think I didn’t think that I could influence the process at all, and so I kind of watched it go by, so the experience has been frustrating, and to be really honest about it, painful. I think what’s changed is starting to work with different people, particularly you, and that turned everything around, and so now I am more involved, I got educated, and I think I am on the cusp of working with people who get my stuff and who are going to attack it in a quality kind of a way. Salerno: And that–just two last questions–and that’s really critical isn’t it? The getting your stuff, in other words, you had a book that was a very, very, very celebrated book with The Death and Life [of Bobby Z], and that wasn’t ultimately a fulfilling experience for you on the film side for a number of reasons, but, it is critical isn’t it? Can you just talk about that, to capture a writer’s tone, spirit, feel, DNA? Winslow: Yeah, well listen I think there’s a couple of things. When we were talking about Bobby Z with the producers and directors there were a couple of things I didn’t agree with and they said, “Well, we’re film people, you’re a novelist; we know better.” And at that time, I bought that argument, because it made sense to me, and to a certain extent it still makes sense to me. What I’ve learned, though, since then is that I have to take the time, and the writer has to take the time that we get to talk about not only that book but about other books, about life, about sensibilities, about how we see things, so that there is a depth of understanding and it might not be that we agree on every detail because I think that would be boring and ultimately defeating, but that we share a common spirit, a common kind of mentality, and a common understanding of the book, of the very essence of whatever book it is that we are discussing. So that started to turn around my career, mostly because of you Shane Salerno [Ed note: Salerno produces all of the film adaptations of his books], and so now, again I feel that I will always take the time, always have the conversation first, before I sign the contract, before I make the agreement. Sit down eyeball to eyeball and talk. Salerno: And that would be your advice for young novelists or even seasoned novelists before going down that road? Make sure you are going to walk down the road together. Because so many novelists seem to say, once my book is optioned, once they purchase my book, you know, sayonara. Winslow: Yeah, I think there are two broad streams in that regard. One that you just mentioned, “As long as the check clears, then I’m going to stay uninvolved.” And a lot of novelists feel that way. I felt that way to a certain extent, until I saw a film of mine made, and I was surprised at how much it hurt. I gotta tell ya, I thought I was a pretty cynical, tough guy. It hurt, it hurt, and it changed me. Well, for a while it made me just not want to be involved with film at all. Now though, I see other possibilities, and so that would absolutely be my advice: take your time, get to know people, don’t just jump at the first offer just because it’s there, you know, and play the kind of longer game. You might not make as much money right away, but I think you’ll make more money over the long or medium haul. But also, there is a quality-of-life issue here, and you know, money is not the only issue. There’s satisfaction, there’s friendship, there’s the fun of doing really good work together, and there’s the satisfaction of seeing something that you can be really proud of. And I am greedy right now. I want all of those things and I would advise any writer to be similarly greedy about that. Salerno: Great answer. Let me ask you one last question. Don Winslow today has written 13 books. When you look back on the guy who was a young aspiring writer who had no sense of whether this “writing thing” was going to work out or not, sitting in a car on surveillance or whatever in New York writing on a pad, talk to me about how far you feel you’ve come as a writer and what you would say to that guy back then. Winslow: It’s still sometimes hard for me to believe or even accept that I make my living at this and that I’m successful at it. In many ways, Shane, I feel still very close to that guy who was sitting on stakeouts with the yellow manuscript pad and a roller pen, you know, trying to write a chapter before something else happened on the street. But, looking back on everything all those experiences have contributed to my writing, they make me who I am now. Now I have a little distance from it, you know, and it’s interesting to look back on those times and think that man, you’ve come a long, long way, but a step at a time, obviously. I haven’t been an overnight success, unless it’s one of those arctic kind of nights that lasts forever [laughs]. So I think that I bring a little maturity and a little wisdom to that and see that I’ve been really fortunate, really lucky and I hope that I’ve worked really honestly, in each book I’ve done, or in anything I’ve done. I just really tried to bring everything I have to it, you know, to give it quality, to give it heart and not just try to pen the next bestseller, but to give something of substance, something of heart at the same time. And maybe this sounds contradictory, but I don’t want to get too far from that guy you know what I mean, because I sense that this is something that we earn fresh every day. You know, every day we get up and we write and we have that in common with that young guy who hasn’t been published yet or who hasn’t had a film made yet, and I hope that I always keep that sort of “freshness” and that enthusiasm and some of that insecurity and humility, because I think that that really contributes to the work. 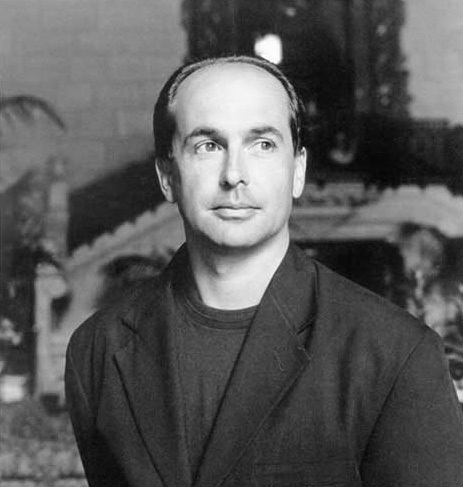 Don Winslow was born in New York City and raised in the little village of Perryville, Rhode Island. The author of thirteen books and several short stories, he has also written for film and television. On his way to becoming a writer, Don did a number of things to make a living – movie theater manager, private investigator, safari guide, actor, theater director and consultant. He now lives on an old ranch in southern California. His first novel, A Cool Breeze On The Underground, was nominated for an Edgar, and a later book, California Fire and Life, received the Shamus Award. Shane Salerno is the writer of James Cameron’s forthcoming Fantastic Voyage, executive producer of Oliver Stone’s Savages, producer and director of the highly anticipated documentary Salinger and the co-author of The Private War of J.D. Salinger with acclaimed author David Shields which will be released shortly. Salerno is also the co-writer of a number of box office blockbusters including Armageddon and Shaft.